​Celebrate the Guardians of the Galaxy Vol. 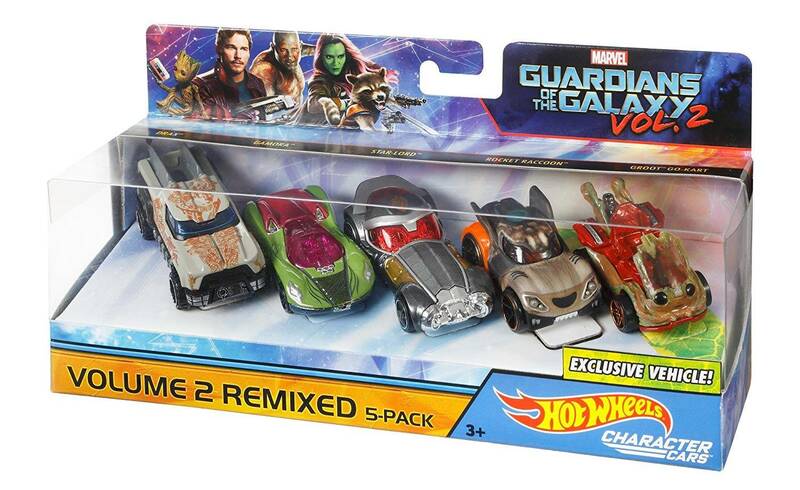 2 movie with a five pack of your favourite Guardians re-imagined as Hot Wheels Character Cars. Decos and details carefully and authentically reflect each Marvel super hero that inspired the design. One deco included. 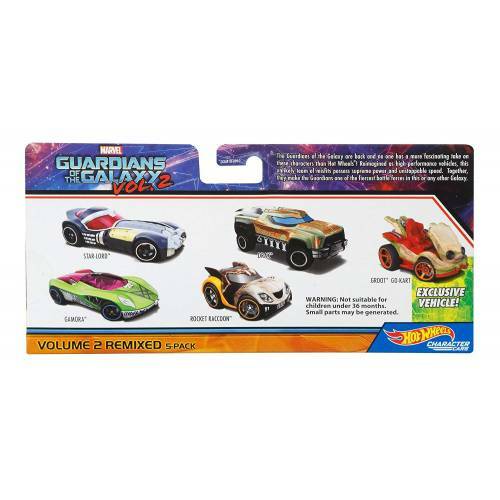 This awesome 5-Pack of Hot Wheels Marvel vehicles with realistic details and heroic inspired-by decos are sure to be a must-have in any collection. 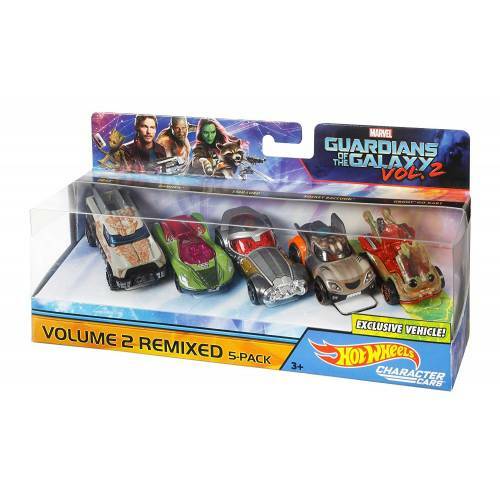 Suitable for Hot Wheels and Marvel fans for story-based play and an instant collection for fans starting out, too.